The University of Alabama, is it haunted? The University of Alabama opened in 1831 and had about 100 students. The university had a violent beginning, gun fights taking place on its grounds were not uncommon, after 29 of its opening the university was turned into a military academy to train soldiers for the civil war. After the war ended, the university was used once again to educate and is still open today for this purpose. One of the most common stories of ghosts at the university is that of a union soldier who was murdered in the cadet guardhouse at the time, now known as Jason’s Shrine or as The Little Round House. Many people claim to of heard him wandering around in the room, only to disappear when someone checks to see were the noise is coming from. 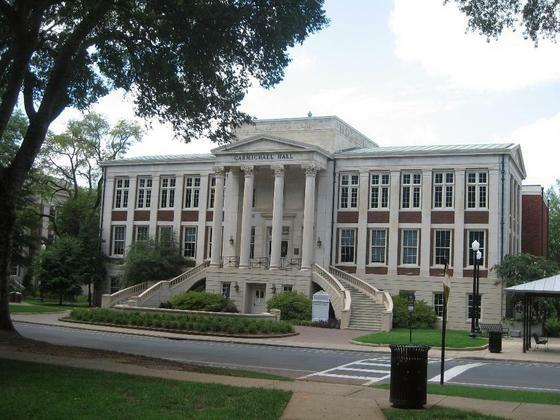 Other ghostly reports include the feeling of being watched in the basement and a shadowy figure on the 13th floor of Tutwiler Hall, which is said to be the ghost of a girl who committed suicide by lighting herself on fire. On the main floor there is an exhibit of Dr. Smith’s carriage, various people have reported the sounds of horses and a carriage being pulled within this area. Many other ghostly happenings are common place, such as the sounds of footsteps, being touched whilst looking through materials in the music room, voices, and a report of finding all the desks scattered in one of the class room's were a boiler exploded many years ago killing several students.